Last week, the general counsel of the UK’s Serious Fraud Office, Alun Midford, stated that his Office was making a concerted effort to tighten up enforcement efforts with regards to the UK Bribery Act. The SFO is in charge of enforcement of the act and prosecution of those found in violation of it, and Midford’s hoped to reassert that position with his statements. He went on to say that his office’s role had become blurred under previous leadership, and that he was reworking previous guidance in order to eliminate language which may blur the responsibilities of the SFO while emphasizing their commitment to enforcing the UK Bribery Act regardless of the laws of other countries that may be involved in a given case. 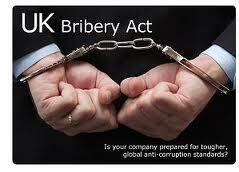 The UK Bribery Act was enacted in 2011, and requires that commercial organizations in the country have adequate measures in place to monitor and combat incidents of bribery. Crucial to the act is the fact that a company can be prosecuted under the act based on not only actual acts of bribery, but also for failure to prevent it. This fact encourages the implementation of strong compliance programs within UK companies, and has a variety of implications for companies doing business in the country. Alun Midford’s statements should be taken very seriously by global companies with operations in the UK. He made it very clear that bribery of any sort is illegal in the UK, and that as a prosecuting body, the SFO must uphold this legislation regardless of the fact that the laws in other countries may differ. In his speech, he singled out the US Foreign and Corrupt Practices Act, which allows grease payments, underlining his office’s hard line. Previously, SFO guidance allowed certain liberties to companies perceived to be moving towards a zero-tolerance policy. Midford has made it clear that this is no longer the case, and that new guidance within the office will prosecute companies for any Bribery Act infringement, regardless of whether or not attempts measures to combat violations are put in place. The SFO is currently in the process of its first prosecution related to the Bribery Act, against British company Sustainable AgroEnergy, who are up for charges related to individual employees bribing officials in Cambodia to secure a large piece of land. The case will no doubt set a precedent as to how the SFO interprets and punishes companies who fail to prevent instances of bribery. This increased severity in the enforcement of the UK Bribery Act highlights the importance of ensuring that your business is compliant with the regulations of all of the countries in which you intend to operate. The SFO’s increasingly stringent attitude towards bribery in the UK is only one of the many increasingly varied regulations being enacted globally to combat corruption. One need only look at the major changes to EU data protection legislation currently underway to see that there is a growing pressure for governments to enact measures that protect their citizens from the effects of corruption and fraud. Because these measures are catered to the concerns of specific populations, however, there is no way to ensure that they are consistent globally. This means that any company hoping to expand their business internationally must be cognizant of the varied regulations that exist. 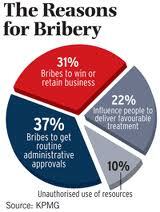 Not only is legislation against corruption increasing rapidly, but the penalties for infringement are becoming harsher and more clearly defined. The continued success of businesses on the international scale will undoubtedly hinge on their willingness to commit to transparency and ethical best practices and their ability to adapt and implement systems which ensure compliance with a broad range of legislation.